In the spirit of fun, competition and camaraderie with fellow Iowa birders, each fall Big Bluestem Audubon of Ames challenges the Iowa City Bird Club to a day of competitive birding! Which side will find more species of birds in this 24-hour period, Cy's or Herky's? This map shows the location of birding clubs around the state. The egret indicates a chapter of the National Audubon Society while the is used for independent birding and nature clubs. Click on the icon to find the organization name and then find the details below. The table below shows all of the bird clubs in Iowa. Click on the + to see details including the group's website if one exists. Click on the Contact Name to send a message requesting more information. Meetings: 7:00 P.M. on the 2nd Tuesday of each month September through May (except December) First Presbyterian Church, Main St., Cedar Falls Mailing Address: P.O.Box 682, Waterloo, IA 50704-0682. Meets the third Wednesday of each month 7:00 PM at the Lime Creek Nature Center in Mason City. 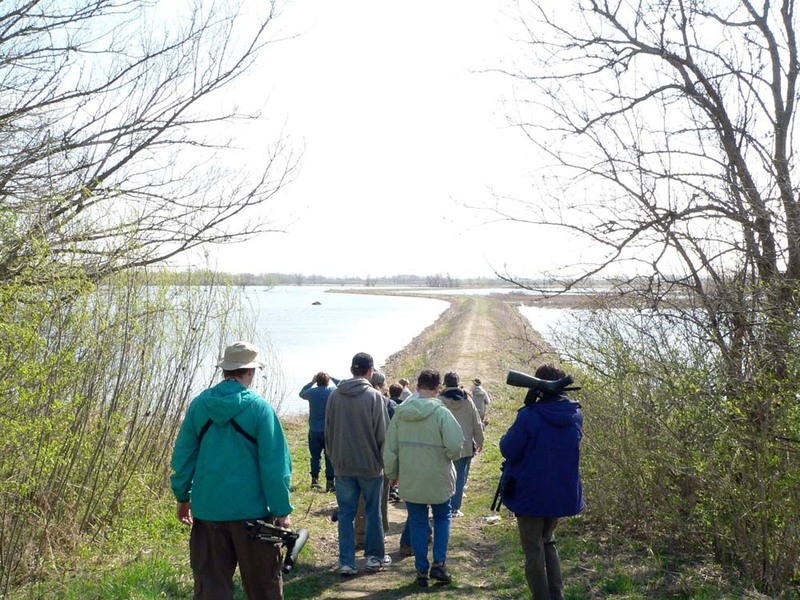 Des Moines Audubon meetings are held the third Tuesday of the month from September through May. Meetings generally begin at 7:00 p.m. and are held at Northwest Community Center at 51st Street and Franklin Avenue. ASO meets the second Thursday of the month, Sept, October, November, January, February, March, April. We sponsor a metro-wide student bird art contest ages K-12 in March. We have a prairie festival at our 14 acre prairie just north of Omaha in the Loess Hills in August Information about both these events will be available at our website. Refuge Christmas Count (which includes Hitchcock Nature Center), and a semi-annual summer breeding bird survey. The Association meets twice a year-- in August and January. Newcomers are welcome. Meets on the third Thursday of each month from Sep. through May, at the Ames Public Library, just north of the main downtown business street. Chapter business meeting is held at 6:30 PM, followed by guest speaker or special program at 7 PM. Iowa Young Birders is an independent, not-for-profit organization founded in 2011. We are committed to providing a way for all young bird­ers ages 8-18 to con­nect, meet new friends, share obser­va­tions and learn more about birds and bird­ing places through­out the state. We invite you to join field trips, work­shops, events and con­ver­sa­tions on bird­ing, habi­tat, con­ser­va­tion and more! Visit our website for all the details about how to get involved.